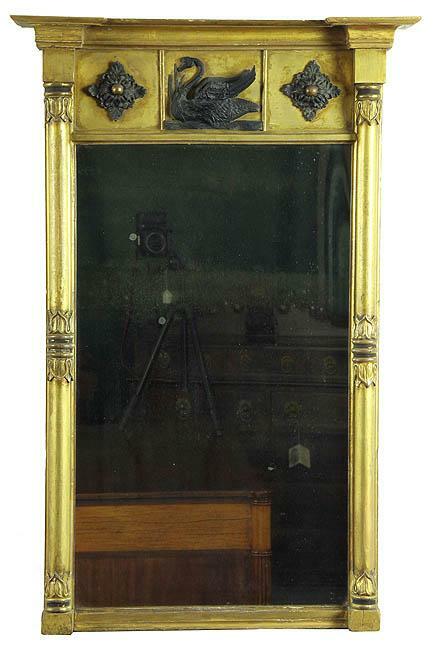 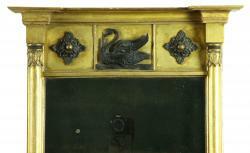 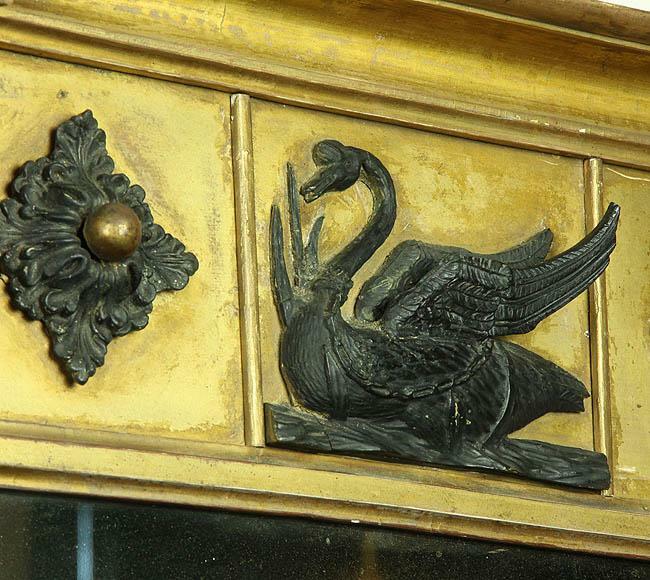 This mirror is quite unusual, with the swan carving. 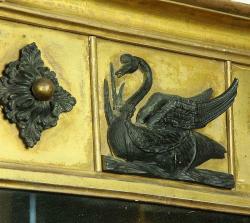 The swan’s wing stands apart from the body, and has a very dimensional look. This mirror is in “as found’ gilt surface, so it’s not bright and shiny, but shows a mirror that’s the real thing, along with its original glass, etc. 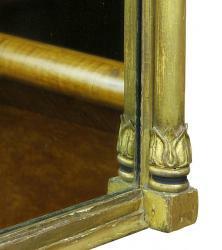 Height: 38 1/2 in. 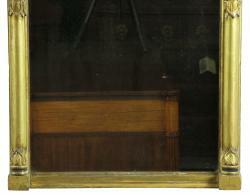 Width: 25 in.